We all know that giving kids healthy food supports their development. Likewise, most of us know that play is an important ingredient for raising happy, healthy and well-adjusted individuals. In play, toddlers and preschoolers test out life skills, like language, sharing and task completion. Young children take play very seriously. And so they should. Research tells us that imaginative play, in particular, is vital to children’s social and cognitive development. When children embody a character, animal or person, they try out new language. They are also engaging and developing theory of mind. Theory of mind is the understanding that other people think differently to you, and is the corner stone of empathy and social interaction. Imaginative play is an opportunity for children to literally walk in another person (or animal’s) shoes and experience what it is to be that character. Research also tells us that make-believe play can help children develop self-regulation, including delayed gratification and reduced aggression. A child inhabiting another role reacts less impulsively to an emotional situation. The event is not affecting them, after all. It is affecting their character. This understanding gives the child space and time to evaluate an appropriate response. Imaginative play is an opportunity to test out social skills with other children. Kids experiment with language, and different styles of interaction. For example, in my children’s favourite game of ‘mums and dads’ the girls take turns being the mum, the dad, or the baby. Each role requires a new set of language and interaction skills. A mum, for instance, fusses over her baby, whereas the baby will ask for food, or drink. My girls are encoding observations from their real life, and testing them out within the safe parameters of their game. In doing so, they engage with empathy, and are practicing different ways of talking to different people. Importantly, imaginative play allows kids to practise and develop flexible, creative thinking, which ultimately contributes to their ability to problem solve. Reality is less static in the imaginative game, so the very act of stepping into another role requires flexible thinking. Reality and fantasy blur, and your child easily moves between the two, with little limitation. One minute they are under the sea, and the next they are in outer space. The limitless scope of the game requires creativity and imagination, which, if utilised in preschool years, contributes to creativity in later years. Children’s author, Mac Barnett, presents truth and lies as a Venn diagram, and says that the overlap between truth and lies is art. He likens it to a secret door, into another world, like Narnia. As adults, we run towards that door, and enjoy stepping through it. It’s our entertainment, and release from reality. Children easily and readily inhabit that fictional space. Although they know something isn’t quite true, they will act as if it is. And their belief in that fiction is an important part of flexible, creative thinking. In my latest book, Archie and the Bear, Archie believes he is a bear, though clearly, he is a boy wearing a bear suit. Archie is frustrated no one treats him as a bear. When Archie meets a bear who thinks he is a boy, Archie accepts the bear at face value. For both Archie and the bear, fiction and reality are blurred. But it does not make Archie or the bear crazy, or untrustworthy. Archie and the bear are simply embodying important preschool functions of imaginative, make-believe play, and in doing so, they cement their friendship. Accepting, and playing along with our young children’s games validates their experience. It also validates the importance of imaginative play as a cognitive and social function. Validate by asking questions about the character and the game. Where does this person or animal live? What do they eat? Who are their friends? 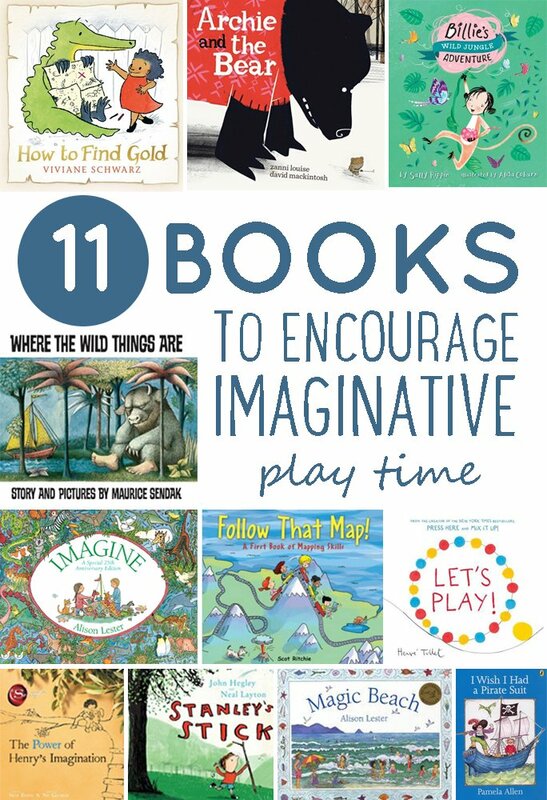 Reading books to children, which centre on imaginative play and make-believe, also enhances imaginative thinking and validates your child’s experience. Scroll through my picks in the slideshow to find a book to read to your child. 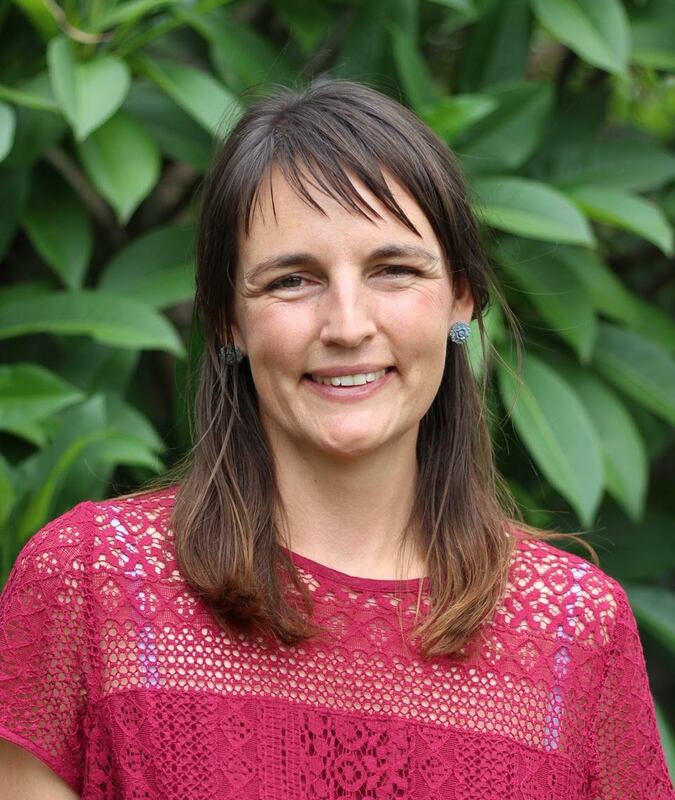 Zanni Louise is a children’s author based on North Coast NSW. Zanni’s first book Too Busy Sleeping is a CBCA Notable Book. 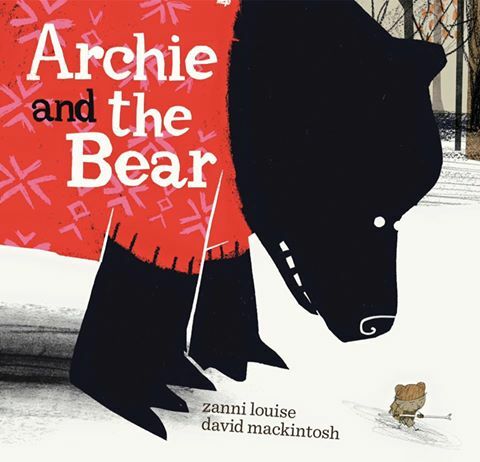 Her second book Archie and the Bear, with David Mackintosh, is out now with Little Hare. Zanni is set to release another five books for children in the next two years with Bonnier Publishing and Scholastic. When not writing for children, Zanni runs bookmaking and writing workshops for children and adults, blogs, and writes for business, and education. In 2017, she will be touring the North Coast NSW with Byron Writers Festival Storyboard project.